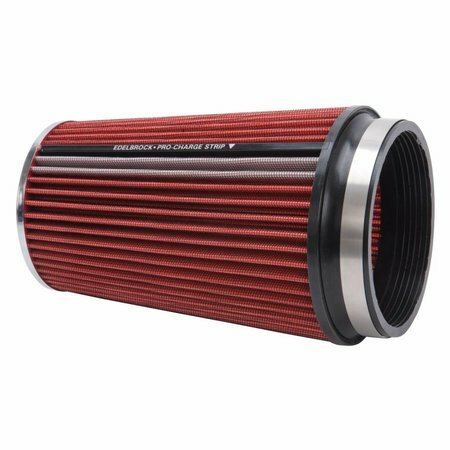 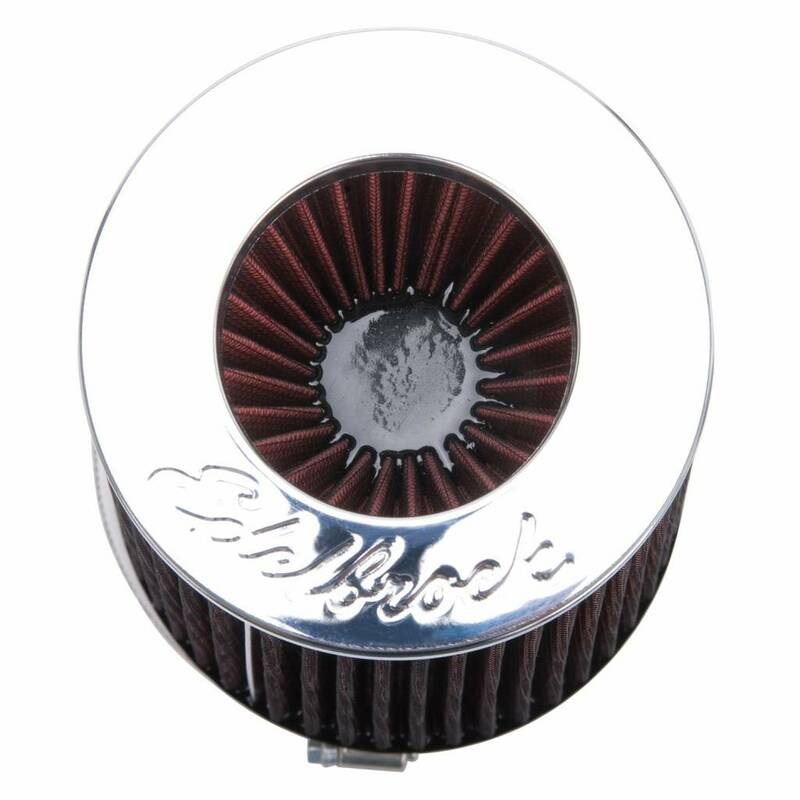 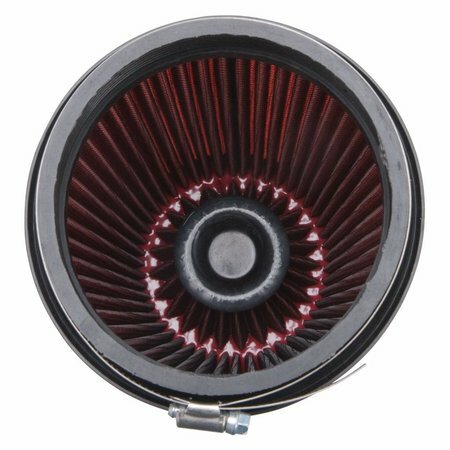 The Edelbrock #43681 is a clamp-on style, universal Cone Air Filter. It features a red filter element with chrome top and a polyurethane base. The filter is 10" tall and will fit tube size of 5". 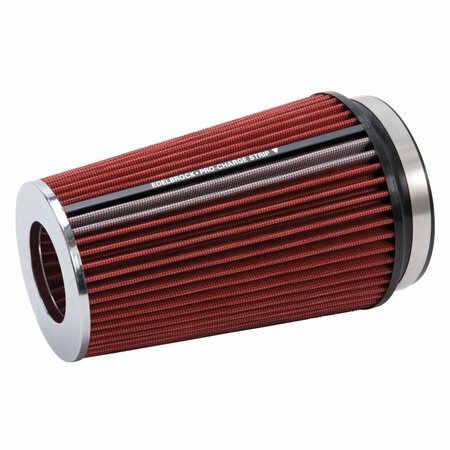 The air filter is pre-oiled from the factory and ready to use.